The new programme will offer more volunteering opportunities for young people 18-30 in the field of solidarity, including experiences in the humanitarian aid field. The Culture Committee approved on Monday the new 2021-2027 European Solidarity Corps programme. While volunteering remain its core aim, ensuring that young people - aged 18 to 30 - can engage in solidarity activities, humanitarian aid action outside the EU is now also included. Volunteering in this new field would be open to highly qualified and trained participants from the age of 18, who would also receive a background check, especially if working with vulnerable people and children. MEPs updated the programme to facilitate access for young people who need additional support, such as people with disabilities, heath issues, from remote regions or with a migrant background. It would provide candidates with personalised guidance, help with registration and the option to join only part-time. Successful candidates would be allowed to also join in-country activities, if these have a trans-border dimension and include participants from other countries. The committee supported the overall budget of €1.26 billion in current prices for the next programme. A clear division of the programme’s budget for each strand was also adopted by Culture Committee, allocating 86% of the overall budget to volunteering, 8% to traineeships and jobs and 6% to humanitarian aid activities. The new programme will continue to fund activities carried out for 12 months. Participating organisations are subject to a quality label by type of activity and are regularly re-evaluated. The rappporteur Michaela Šojdrová (EPP, CZ) said "The programme will be even more diverse, mainly because participants will now also have the chance to engage in humanitarian activities outside of the EU. It is essential that volunteering remains the main activity funded by the programme, that the programme continues to target young people up to the age of 30 and that meeting peers from other European countries is always part of the experience. We also want to encourage and facilitate the participation of young people with fewer opportunities and to increase awareness of the programme. " The report was adopted by 14 votes in favour, one against and one abstention. The Culture Committee is responsible for the overall programme, while the Development Committee handles the humanitarian strand and adopted its position on 22 January. A vote to confirm the EP’s first reading position is foreseen for March’s plenary session. 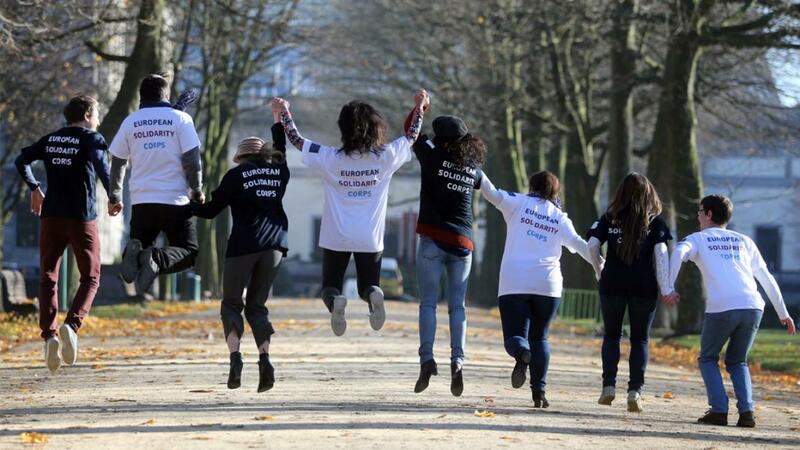 The first European Solidarity Corps started in 2018 and finances volunteering activities, traineeships and jobs in solidarity-related areas. The type of activities are volunteering, traineeships and jobs in non-profit related areas, own initiative projects, networks, while participants can be individuals and organisations. Volunteering activities eligible for EU funding should be carried out in a country other than the country of residence and have a solidarity dimension. All participants should register on the European Solidarity Portal, available in all EU languages. The portal should provide web-based tools to train participants (e.g. online language courses), as well as evaluation and feedback tools.